Nikon COOLPIX B500 16.0MP Digital Camera - Black. Condition is Manufacturer refurbished. Shipped with USPS Priority Mail. USED BUT IN GREAT CONDITION GRAB IT NOW BEFORE ITS LATE. 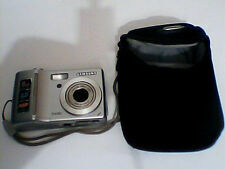 Listing is for this Panasonic LUMIX DMC-LX5 10.1MP Digital Camera With Box Manual, everything you see in photo. There will be no memory chip included, otherwise, it was use very little. Good condition. All my items are from smoke free environment, please contact me if you have any questions. Autofocus system features ttl autofocus and manual focus. What is the history of the item?. We test them and picture their current condition. These will cost more. Is there a Buyitnow?. Condition is Used. LCD screen always covered with an Expert Shield screen protector. Original box and all accessories. Hunt's has been trusted choice for 112 years and we have outlasted many competitors, especially in this Internet age. Fujinon 18.5mm f/2.8 Lens (28mm Equiv.). - 3.0" 1.04m-Dot Tilting Touchscreen LCD. I bought it new and have been taking good care of it. Everything works great and it is in good condition with normal wearing signs on the edges as you can see in the pictures. Sony 64GB SDXC Card Class 10 U3. 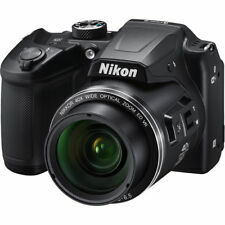 Nikon COOLPIX B500 16.0MP Digital Camera. Condition is Used. Shipped with UPS Ground. Great condition. Comes with leather case for the camera. No memory card. Original Battery. Nikon COOLPIX P600 16.0MP Digital Camera - Red. Condition is Used. Shipped with USPS Priority Mail. Corners on the bottom front have a little wear, the black paint has rubbed off a tiny bit (see in pics). The shots this thing takes are insane. - you get what you see in the pics. - Portrait lens extension included. Condition is Used. - There is a small scratch on the LCD screen protector. Under that screen protector, the actual screen is in excellent condition. The 2 points are taken out due to sign of usage and wear, not from its performance. 5 out of 5 stars - Sony RX1R 24.3MP Digital Camera - Great 8/10 Condition! 6 product ratings6 product ratings - Sony RX1R 24.3MP Digital Camera - Great 8/10 Condition! Panasonic Lumix DMC-LX10 with 2 extra wasabi batteries. Camera is in used condition and good working condition. Comes with box also. We do not accept re-sale certificates . 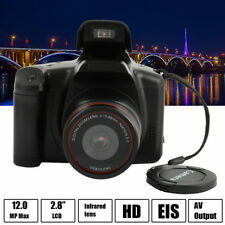 The product described in the title and main product in images. What's included. Our products are used and may have, but are not limited to: scratches, dents, minor cracks, etc. 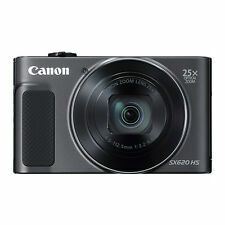 Canon's pocket size format with DSLR quality pictures. It is in good condition. It will zoom, focus, flash and record as normal. And there are no scratches on the lens or screen. 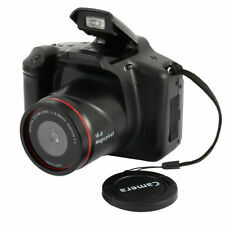 Canon PowerShot ELPH 300 HS / IXUS 220 HS 12.1MP Digital Camera - Black. Condition is Used. Shipped with USPS Priority Mail. Very good condition. Almost unnoticeable scratches on casing (see picture). Lens is clean with zero scratches. Zoom works perfectly. Zero scratches or cracks on screen. 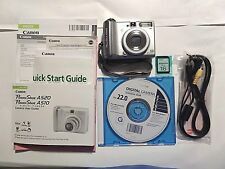 Your bid will include the camera, battery charger, battery, 4 GB SanDisk memory card, and camera case. Original box not included. The glass is clean and clear of any imperfections. 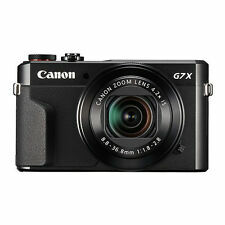 1 - Canon PowerShot SX720 HS Instruction Manual. 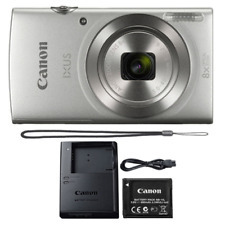 1 - Canon Powershot box. 1 - Canon NB-13L Battery.